A three-story, 40,000 square-foot office building with an attached parking structure in Birmingham, Ala., houses the Drug Enforcement Administration (DEA) and the Bureau of Alcohol, Tobacco, Firearms & Explosives (ATF). 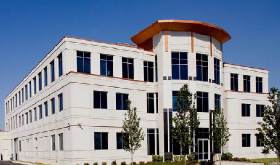 A modern interpretation of “federal” architecture, this building utilizes limestone color pre-cast with granite slab columns and copper colored metal flashing. 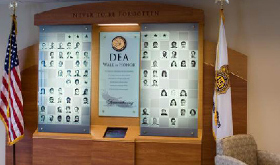 Throughout the building’s development, US Federal Properties (USFP) integrated the language of the exterior space with the language of the interior space to create a signature corporate headquarters for the DEA and ATF.